As we close in on our reno (the living room just might get finished this summer if all goes as planned) thoughts of how we are going to decorate it (furniture-wise) and how I suddenly realized - do we really need this space? I mean we've been living without it for the last 3 years (the make-shift living room we created in the master bedroom has become somewhat of a favourite hangout for us all). It's a nice bright space and so to move the living room down below where it's supposed to be at this point seems really odd. Storage is definitely an issue but other than that I'm super happy living in a small space. 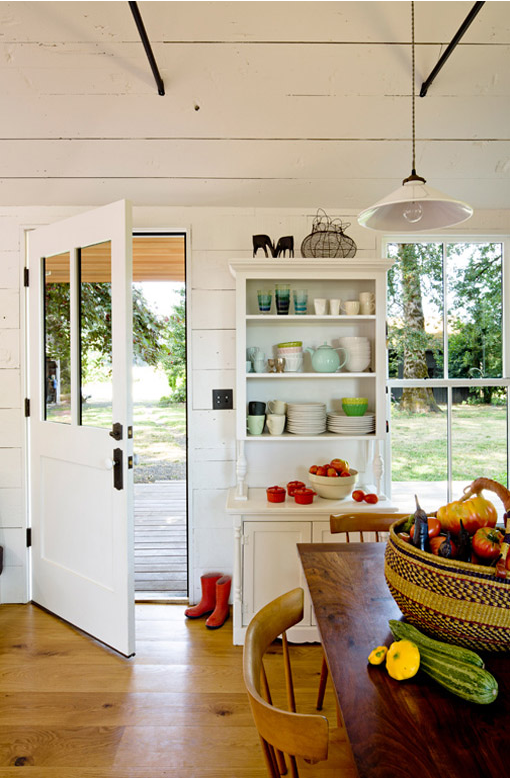 That's why I love the tiny house of designer Jessica Helgerson. I'm sure many of you have seen it online – I mean it is so adorable. And I just like the choices made in it to make it all work. The loft space for the master suite, the kids bunks and built in storage and the couches with their drawers beneath for storage that double as a guest bed. 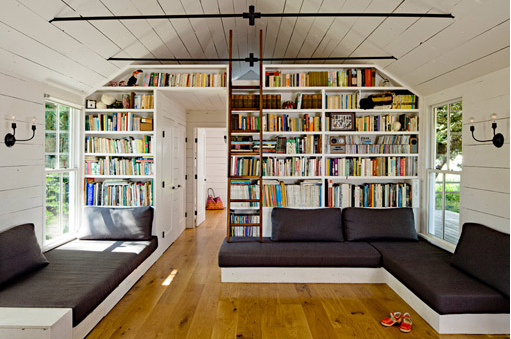 All so brilliantly thought-out in just 540 square feet of space! Check it out below and for more pics, visit her site here. All photos by Lincoln Barbour. (Via Birch + Bird). 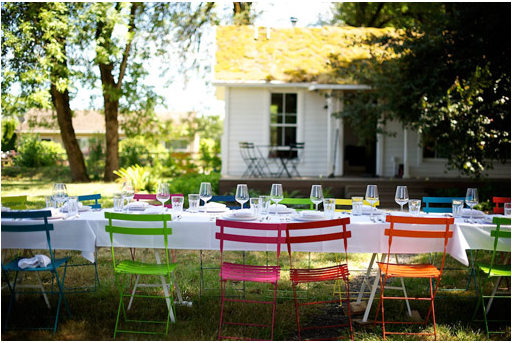 I love that large table in the garden with all that colorful chairs!!! I am in love with this house. 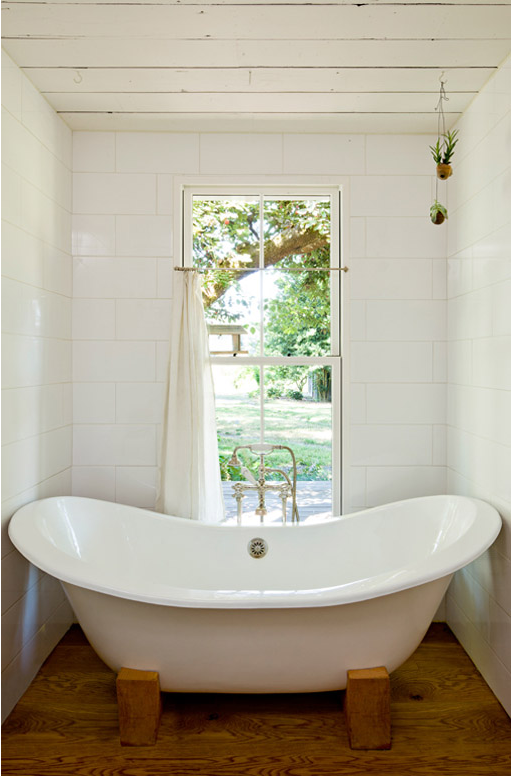 The bathtub, the kid's room, the basket of veggies. Everything about it. I hadn't seen this beautiful little space before, wow! 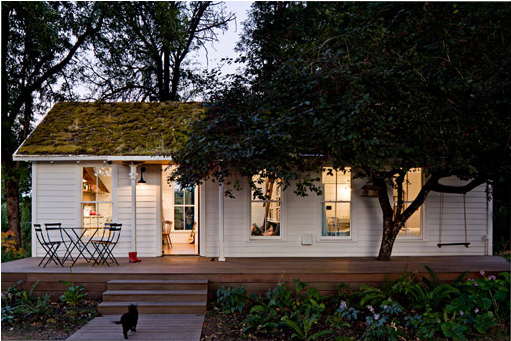 My husband and I are planning on buying a house in the next few months so I love inspiration like this. Good luck with your decorating! 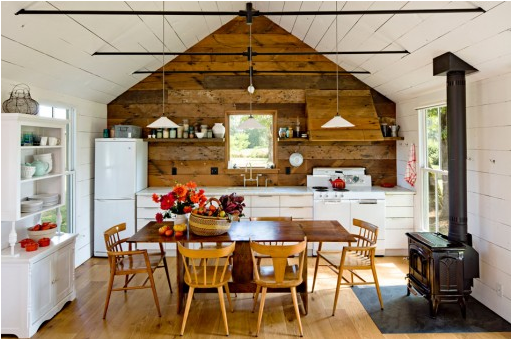 Wow I am totally in love with this home! i've seen this place online a few times, and it still amazes me how they did it! i really do love it! 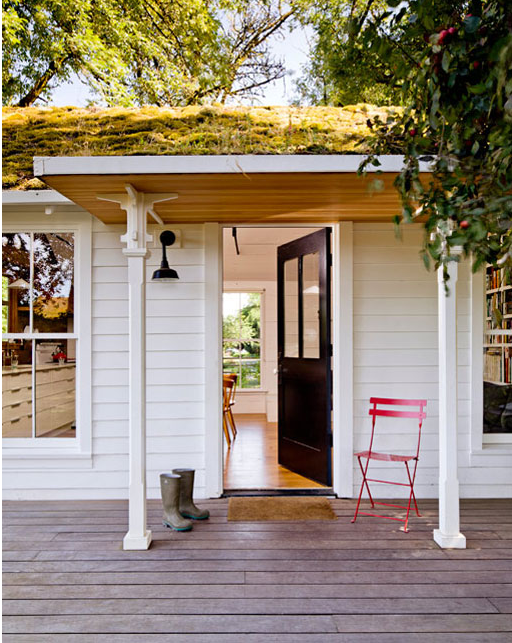 I had seen this in MSL and was completely smitten with the simplicity and functionality of this wonderful home. I wish I could get that feel in my 3 level 1240sf town home. I guess I should start with the de-clutter. Thanks for featuring on your site, maybe it will give me the boost I need. Mike and I are dreaming of a simple, small, dainty and comfortable house that would not cost much for us. Yours is a big example. I really hope we can have a home of our own very soon. Gorgeous inspiration. I love this space!